Expected ship date Mon May 20 2019. 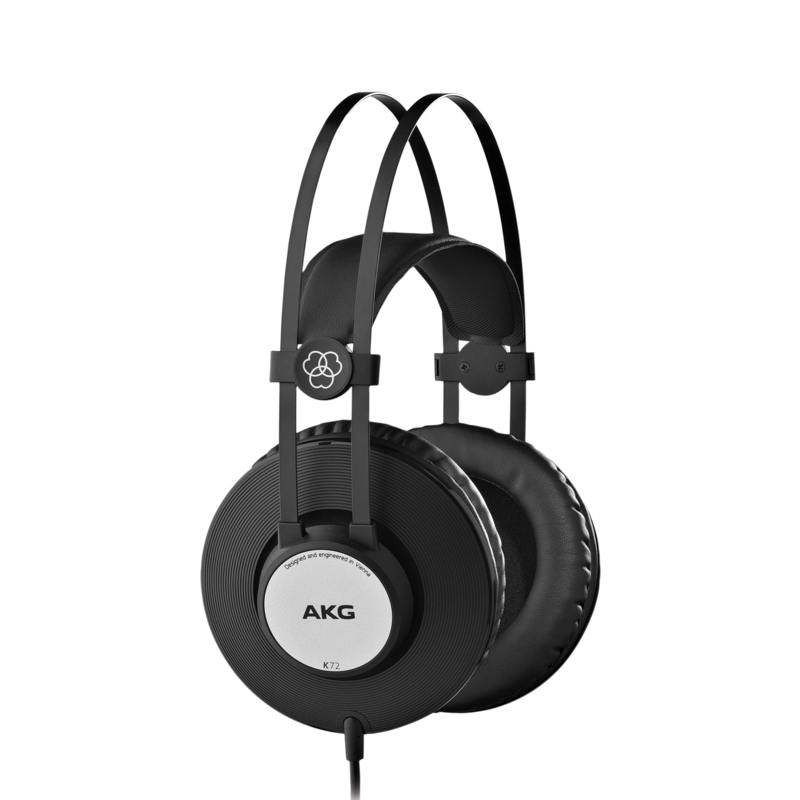 Our K72 headphones deliver authoritative, extended low-frequency response that gives definition to kick drums and bass guitars. At the same time, the detailed yet precisely balanced high-frequency response reveals the nuance in vocals, guitars and acoustic instruments. Our generous 40mm drivers deliver high sensitivity for powerful output, plus an extended frequency response that reveals every detail. 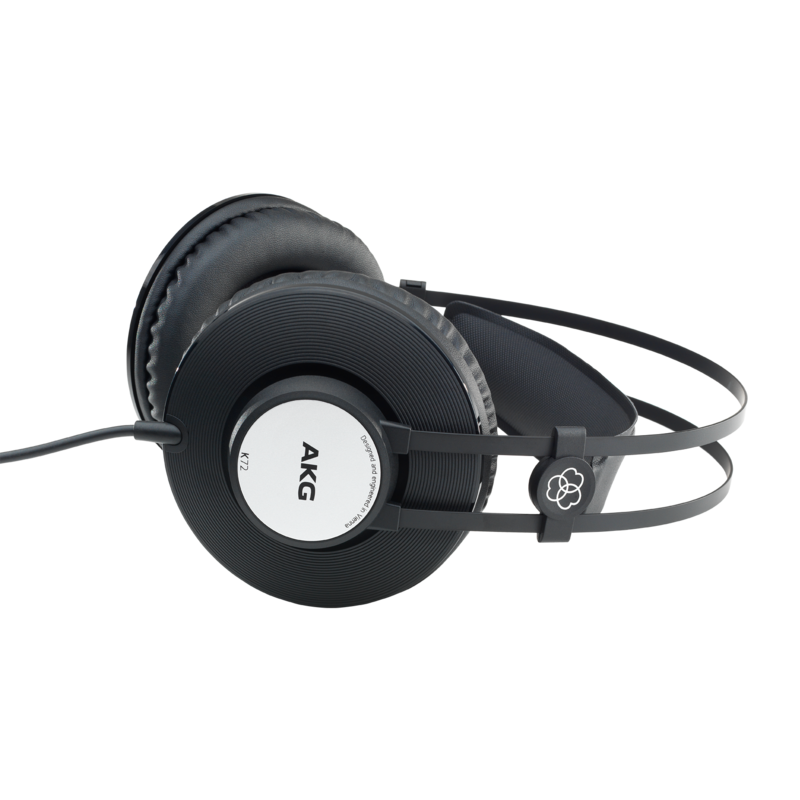 The K72s also feature a low-impedance design for compatibility with a broad range of playback devices, from professional studio gear to portable music players. 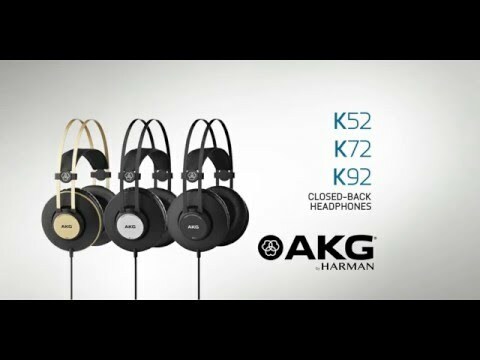 The K72 headphones’ closed-back design eliminates audio leakage and delivers sound to your ears only. The mic won’t pick up the sound of the click track in your headphones - and you’ll always be able to mix peacefully without being distracted by outside noise. 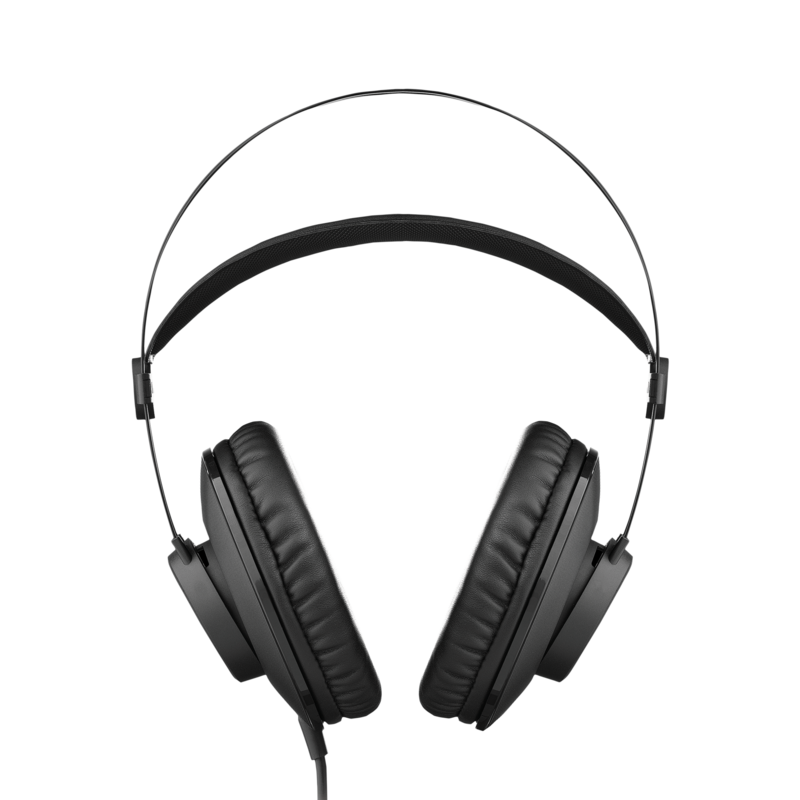 This exceptional level of audio isolation is due to a new acoustic chamber, which sits between the ear cup and the hinge that connects to the headband. Our innovative design gives you the freedom to move your head in any direction, without letting sound in or out. With the K72, you’ll enjoy a private workspace, no matter where you choose to create. Getting the perfect mix sometimes means monitoring track levels for hours - and that’s when comfort really counts. We designed our unique self-adjusting headband to automatically create the perfect fit for every band member. No need to mess with delicate sizing mechanisms, which have the potential to break over time. 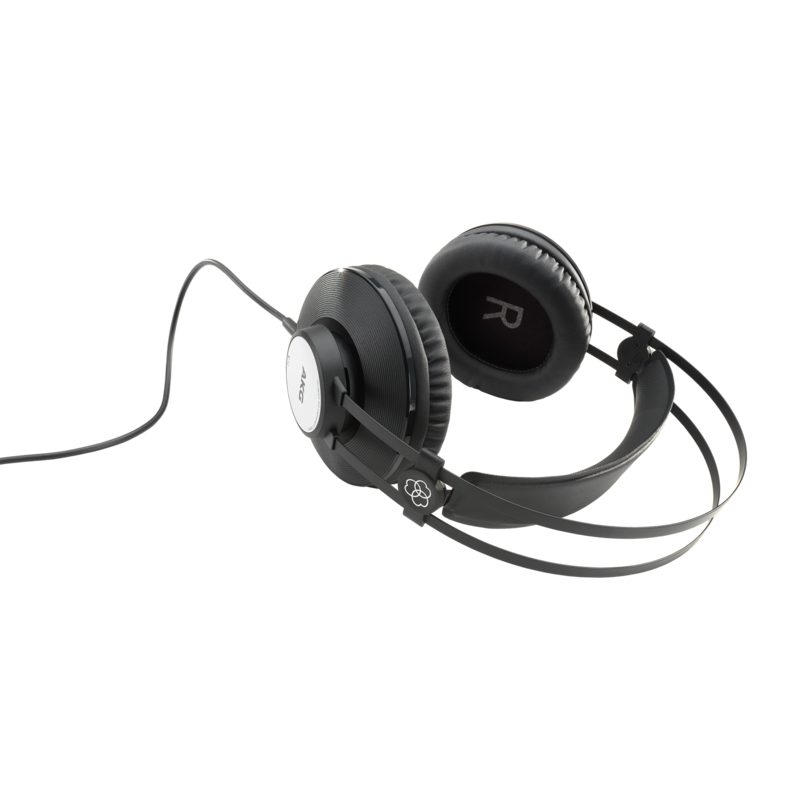 The exposed headband design keeps the K72 headphones comfortably light, without compromising driver size. Breathable, lightweight ear pads encircle your ears, rather than putting pressure on them. And a single-sided cable gives you freedom to move. 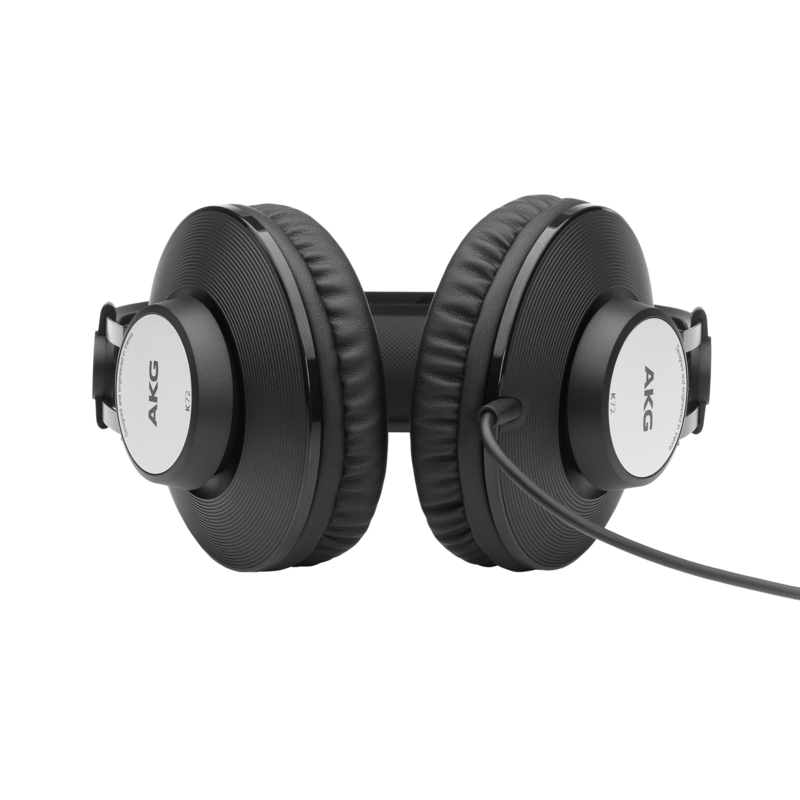 To sum it up, these high-performance headphones sound, feel and look great. 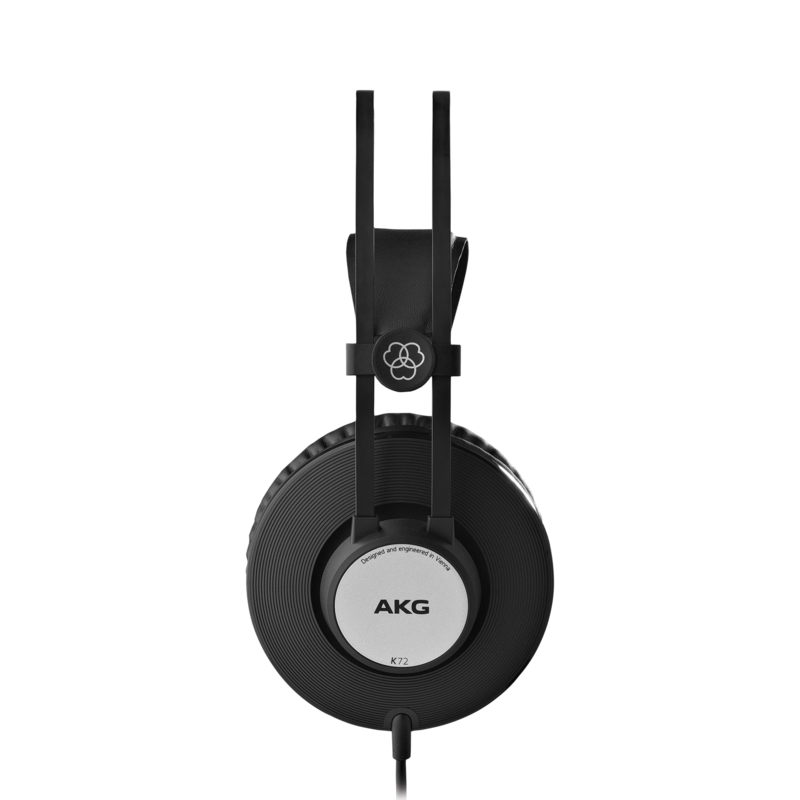 AKG is known for making professional-grade gear that can stand the test of time, and the K72 headphones are no exception. We put them through extreme testing and abuse to ensure they’ll handle anything you throw at them: Our regimen of drop-tests simulates exaggerated falls. 80,000 cable bend cycles at both end points ensure the cable won’t break or underperform. And intensive driver testing - a prolonged series of 3W bursts every half second - means that the drivers won’t fail when you really need them. Since ear pads are often the first components to show wear, we made them replaceable to protect your investment over time. With exceptional performance and elegant design to match, the K72 is built for pros.